Previous year, the company added an extra of Rs 11.52 crore of profit from the dealings of AxiCorp, gmbh, which was sold. The company had also sold 70% stake in the German drug distribution subsidiary. 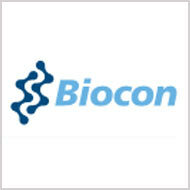 Presently, Biocon’s net profit rose 7.4% in the three-month period and combined operating profit margin was flat at 27.5% year-on-year. The company, Biocon’s assured that the licensing income will increase in the upcoming months of the financial year. As per Chairman and Managing Director of Biocon, Kiran Mazumdar-Shaw, "We are making steady progress on the biosimilar insulin front with a number of registration processes initiated in emerging markets. We expect to commence supplies of insulin and glargine to Pfizer for their India market launch in this quarter. We also plan to launch our insulin pen Insupen shortly”. The company was looking forward to launch its new insulin drug and the company had made a deal with the Pfizer. As per the deal, Pfizer will be selling the insulin drugs made by the Biocon on global grounds.